Most can appreciate that survival in the wine game is no walk in the park. Exposure to the vagaries of weather, economics, politics and trends are all factors that can sink a wine business quicker than you can grow a vine. 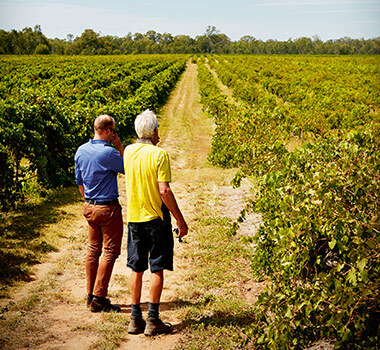 Despite that, Australia’s wine industry is filled with impressive stories of families going into business, surviving decades, flourishing and producing beautiful liquid all the way. The story of the Purbrick family is one and the 150+years they celebrate goes beyond impressive and lands somewhere in the inspirational ball-park. 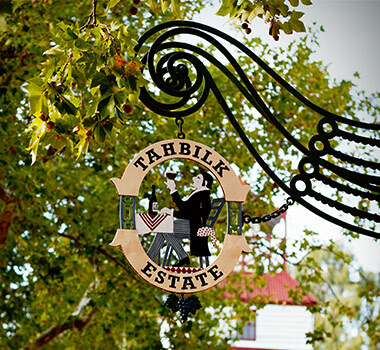 Tahbilk is an Australian success story that is not talked about enough and whilst they were anointed ‘winery of the year’ by Halliday recently, the family’s contribution to the Australian Wine landscape is sadly underrated. It could be the ebb and flow of wine fashion, but rarely do you read or hear that the Purbrick family are the custodians of the oldest and largest holdings of Marsanne on the planet. The family could have quite easily shifted their focus to Sauv Blanc during the 1990s and chased profit, but they stayed the course, realising the importance of the long game, heritage and just how glorious Marsanne can be. From their entry level wines to the complexity of the 1927 Vines, the Tahbilk Marsanne is world beating and they have been making it for well over a century. As part of the celebrations of the 150th release of their 1860 Vines Shiraz, Wine Selectors Tasting Panellist Adam Walls and myself travelled to Tahbilk and joined 4th Generation CEO and Chief Winemaker Alister Purbrick for a tasting to explore and revel in this Australian wine treasure. Tahbilk is located along the Goulburn River within a mosaic of billabongs, creeks, waterholes and wetlands that in turn create a special meso-climate that is cooler and milder than that of the surrounding area. The sandy loam soil contains a high concentration of ferric-oxide that imparts unique characters in the wines and manifest themselves in different ways across their impressive range, particularly Marsanne and Shiraz. We started the tasting with 1927 Vines Marsanne and the bracket, dating back to 1998, reinforced how delicious these wines are. Picked young with relatively low acidity, the fruit is allowed to oxidise and then is pressed. The free-run is simply fermented, producing a fairly neutral wine that, like Riesling, develops its characters in the bottle. The younger wines have aromas of beeswax, lanolin and spiced lemon curd, whilst on the palate they are soft and elegant with citrus cream, minerals and apples. As these wine age, all the flavours and aromas remain, but they deepen and as each year passes, they develop layers of beguiling flavours. Standouts were the 2005, the 2000 and the 1999, but all were unique and special. Next came Shiraz, one of the first varieties planted at Tahbilk in 1860. Half a hectare of those gnarled, resilient old vines have survived and become some of the oldest pre-phelloxera Shiraz in the world. Accordingly, this glorious plot is recognised as one the 25 great vineyards of the world. When the vintage conditions are perfect, the fruit from these vines becomes the Purbrick family flagship ‘1860 vines’ Shiraz. This four-wine bracket was a true celebration of history and it was hard to fathom that as these vines were just sprouting, the foundations were being laid for what still remains today as the operating winery and cellar. Critics greater than I have rated the Tahbilk 1860 Vines Shiraz amongst the world’s great reds and I have to agree. Earthy, old-school aromas billow out of the glass and manifest as complex and bright red and black fruits laced with spices and herbs. In the mouth, the experience is almost overpowering - intense but elegantly balanced fruit lines driven by cherry and blackberry. The 1860 Shiraz, just like the vines that they come from, are made to last and reflect winemaking that has changed little since Alister’s grandfather Eric Stevens was at the helm. Eric’s 45-year influence on Tahbilk and the wider industry is commemorated by the family renaming the Reserve and Special Bin wines after him in 2002. Alister took us through a bracket of Eric Stevens Shiraz and Cabernet dating back to 1994. These wines reflect the traditional red winemaking method upheld by Alister and his team, despite the multitudes of modern winemaking techniques now available. 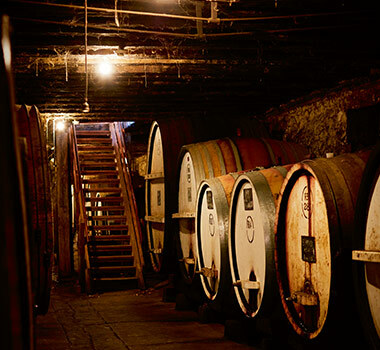 Oxidative, open fermentation in 100+ year-old vats, maturation in French oak and bottle ageing in the cellar before eventual release allows the wines to express the age of their source material and the vineyard without complication. Overall, the resulting Shiraz is succulent and distinctive with rustic blue and red fruits flanked with an elegant weight and mouthfeel. Also made to last, these wines showed greater width of style across vintages and locking down favourites was tough. Adam was wowed by the 2002 for its balance, stage of life and attractive power to finesse ratio. Alister would not be drawn on his preference, but I loved the 2006 for its elegance, savoury earthy characters and superfine tannins. After a small tour through the historical winery and cellar, we tasted the Cabernet bracket and the wines were as distinctive and interesting as the previous Shiraz line up. Mid-weighted and soft, these Cabernets have true varietal shape with glorious and often regal flavours ranging from blackcurrant and cassis to game, spice and chocolate. The fruit comes from 35+ year-old vines and the wines are extremely age worthy. The 1994, for example, was still fresh and juicy with the aged characters rounding out into a stately and appealing wine. Favourites were the 2005 for its earthy brew of sour cherries, plum and herbs, the 2002 for its youthful juiciness and the 2008 because of its attractive mix of sour fruit, cherry and cinnamon. As Alister reflected on this special tasting, it became clear that the weight of history and the burden that comes with a legacy such as Tahbilk’s is very real. Winemakers are passionate people and like Alister, will always be driven by the need to improve and grow on what has come before. Alister’s impact on improving the finesse and quality of Tahbilk’s wines is demonstratively obvious. What is less obvious, but just as important, is the respect he shows for the roadwork his father, grandfather and great grandfather laid out. It would appear that this love for Tahbilk’s legacy is set to continue, with Alister’s daughter Hayley now driving her contribution to the business. Hayley’s focus is sustainability and since starting to work for Tahbilk in 2009, she has championed and developed a certified Carbon Neutral program that stretches across the whole business: the vineyard, production, bottling, admin, wine club and the management of the wetlands that shape the Tahbilk biosphere. Hayley, like the Purbricks before her, clearly understands how valuable the Tahbilk contribution is to the Australian wine story. On paper it provides depth and breadth to a relatively young industry with few long term players. But, with wine, it’s what is in the glass that counts and Tahbilk’s wines easily rate amongst the best Australia can produce. In today’s world of corporatisation and multinationals we firmly believe family-owned and operated businesses should be applauded and celebrated. We also believe that great wine is made by people, not corporations. It’s thanks to the dedication of wineries like the 12 members of Australia’s First Families of Wine that we can all enjoy some of the world’s best wines. 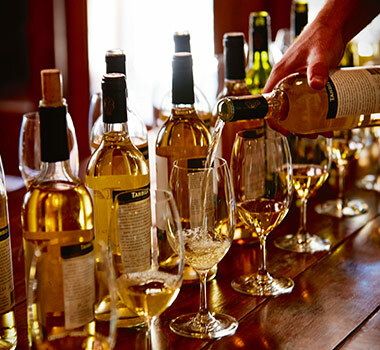 Like Wine Selectors, they stand for independence and authenticity and share our long-term commitment to the future. Join us as we celebrate their passion with an exclusive collection of iconic wines especially chosen by the families and our Tasting Panel. Meet the families This year has also seen the launch of our unique Australia’s First Families of Wine Speed Date Tastings. Held so far in Brisbane and Melbourne, these events have been a great success and have certainly put a spin on a typical wine tasting! Guests took the chance to enjoy engaging conversations with family members or winemakers as they moved around the 12 tasting stations. With over 40 wines available, there was plenty to enjoy including some of the families’ iconic wines such as the Henschke Giles Pinot Noir, the Campbells Barkly Durif and the very special Brown Brothers Patricia Chardonnay. If this sounds like an event you’d like to be part of, our next Australia’s First Families of Wine Speed Date Tasting will be held on Sunday 19 June 2016 at the Shangri-La Hotel at The Rocks in Sydney.